Wisconsin School Music Association (WSMA) proudly presents the 2017 Student Composition Project winners. 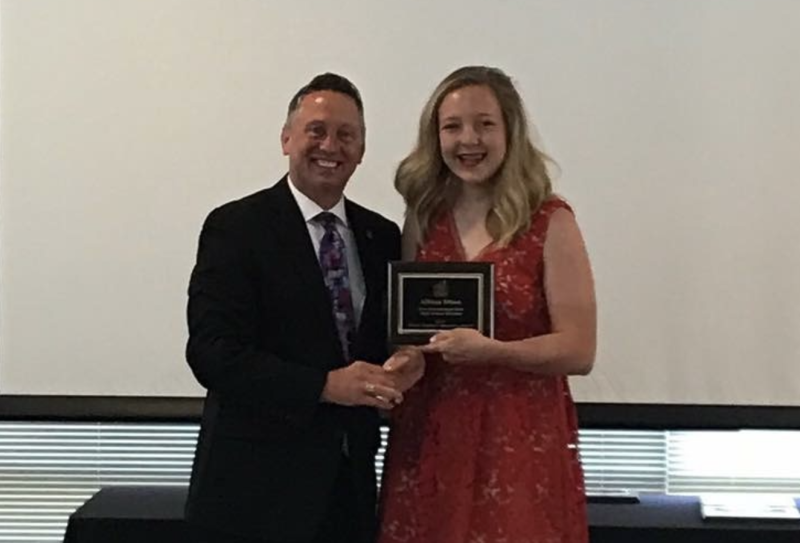 Students from across the state were recognized for outstanding achievement with their original musical work during a special awards program at the Wisconsin Center for Music Education in Waunakee on June 3. Student composer won the Best of Instrumental Solo for her composition A Day, A Year, A Lifetime. Student has been selected for the High School State Honors Music Project which is designed to provide musically talented students with the opportunity to rehearse and perform with the nation’s finest conductors in a professional and highly disciplined setting. Auditions were held in seven sites across the state this past February. Of the more than 1,300 auditions, 424 students in grades 9, 10 and 11 were invited to be part of the WSMA High School State Honors Music Project ensembles. She will attend an intensive four-day summer camp at UW-Green Bay. This is a unique and essential component to the High School Honors Project experience as it is the first opportunity the selected students have to see their music, meet the conductor and rehearse as a newly formed ensemble. All Honors students reconvene in Madison in late October to perform at the annual Wisconsin State Music Conference. The Honors concerts celebrate the remarkable achievements of Wisconsin’s finest young musicians and are open to the public.